The Tower board has agreed to present its shareholders with a proposal from Vero to buy all the company’s shares for more than what’s been offered by a rival bidder. Tower and Vero have entered into a Scheme Implementation Agreement (SIA), whereby it is proposed Vero will buy the Tower shares it doesn’t already own, for $1.40 each. Vero - a wholly-owned subsidiary of the ASX-listed company Suncorp - already owns just under 20% of Tower’s shares. The Tower board in early February recommended a proposal from Fairfax Financial Holdings, whereby the Canadian giant would buy all of Tower’s shares for $1.17 per share, pending shareholder and regulatory approval. However Vero’s offer of $1.40 per share represents a 19.7% premium to the Fairfax offer, and a premium of 77.2% to Tower’s closing share price on 8 February, before it entered into a SIA with Fairfax. While Tower’s chairman Michael Stiassny considers Vero’s proposal “superior” to Fairfax’s, Tower’s directors are yet to make an official recommendation on the proposal. Stiassny says: “After careful consideration, taking into account relevant factors and advice from Goldman Sachs and Chapman Tripp, Tower considers the Vero SIA is a superior proposal to the existing Fairfax Scheme. Fairfax has advised that it will not increase its offer price." By way of background, Vero on February 22 communicated its initial, conditional proposal to buy all of Tower’s shares for $1.30 each. It then paid some shareholders $1.40 per share to bump its shareholding up to just below 20%. 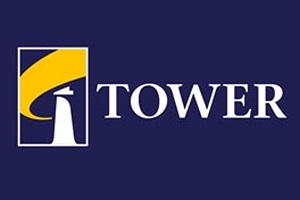 On June 24 it increased its official offer to buy the remainder of Tower's shares for $1.40, sparking a trading halt of Tower shares on June 26. The Vero SIA is subject to approval from the Commerce Commission, Reserve Bank of New Zealand, Pacific Island authorities and Tower shareholders. Tower understands the Commerce Commission is likely to extend its deadline for a clearance decision date from June 30 to some point in July. Its decision was initially expected to be made by May 5. Vero has tried to block interest.co.nz’s attempt to obtain a copy of a ‘letter of issues’ the Commission sent it, outlining concerns the watchdog has around its application. Vero, along with its joint venture partner AA Insurance, already holds a 25% share of the general insurance market in New Zealand. If its bid to buy Tower is successful, it will increase its market share to 30%. Tower shareholders will have the opportunity to vote on the Vero proposal at a special meeting in September. Vero’s proposal will need support from at least 75% of votes cast, with these votes needing to represent more than 50% of the total voting rights of the company. The Tower board notes: “shareholders do not need to take any action in response to the Vero SIA at this time. Tower also confirms Vero’s proposal does not impact Tower insurance policies and the rights of policy holders. “All policies will remain with Tower Insurance Limited (or relevant Pacific Island subsidiaries) in the event of a change in ownership of Tower Limited,” it says. Tower's share price has increased from $1.155 before the trading halt, to $1.320 since the halt has been lifted and the Vero SIA has been announced. The insurer has been struggling in the wake of the 2010/11 Canterbury earthquakes. Its share price fell as low as 69.5 cents at the end of last year, while it just a few months ago came within $5 million of breaching the RBNZ's solvency standards. See these stories for further background on Tower. Extraordinary U turn by the Chairman. Of course if behind the scenes lobbying, in the appropriate political high circles, should see the Commerce Commission decline the Vero bid then the Chairman will be fully exonerated in his previous fervent backing of the Fairfax bid. But then there is the rather sticky point that Suncorp will be sitting there with the 20% shareholding already in its lap so what a funny (not ha ha) boardroom table that would turn out to be.What a dilemma, sort of encapsulates the whole sorry mess that Tower looks like. ComCom now has an interesting dilemma on its hands given the 20% premium to Fairfax's bid that Suncorp has offered. It should also consider how Fairfax would settle the remaining CHCH EQ claims. One option would be for Fairfax to sell these to a specialist claims run-off company. These outfits pay a set price for a 'book' of claims and are motivated to minimise settlement costs. While either buyer of Tower will want to exit these claims at the lowest possible number, Suncorp is more likely to fold these claims into its own EQ claims process. If I were a Tower EQ claimant I'd be hoping for Suncorp on a 'better the devil you know' basis. Totally agree! Think you would have a better feel for this than me but as well as the better devil, it might too, be the lesser evil for outstanding Tower EQ claimants. Basing that on the Suncorp group appear to have had less complaints, bad publicity and actual court hearings, than any of the other insurers.? Yeah, that's my impression as well. I follow EQ court action closely and they do seem to feature there less often, and in adverse media coverage, than their market share might indicate. But that's just my gut feel and not based on any data.